The Nashua Community fosters inspiring relationships, sets the foundation for life-long learning, and guides independent thinkers to achieve excellence. March is upon us and so is Spring! I know everyone is looking forward to continuing this warm weather and longer days! We are in full swing preparing for the upcoming MAP testing. The window for testing this year will be from April 9-April 27th. All the assessments will be completed online. Along with preparing for the MAP testing, our students continue to engage in authentic learning activities at all grade levels. They are also working hard developing key social skills that will make them successful inside and outside the classroom. As we begin looking forward to the next school year, you will find some updates and information in this newsletter. If you or someone you know has a future STAR at home who will be ready for kindergarten next year, our Kindergarten Round-Up is scheduled for March 29th. Also, we will be celebrating Read Across America the first week in March. Our Family Reading Night is scheduled for March 1st from 6:30-7:30 pm. It’s always a busy time here at Nashua, our staff and students work hard every single day to make sure learning is happening at high levels. 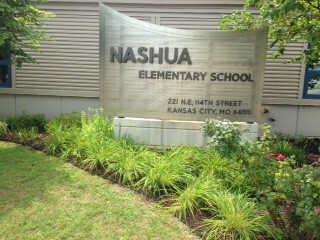 As I say every month in these newsletters, it is an honor to serve as the principal of Nashua Elementary! Read Across America Day is the nation’s largest reading event, occurring each year on or near *Dr. Seuss’s birthday (March 2). Nashua Elementary will be celebrating with a Spirit Week full of fun! Students are encouraged to read at least 20 minutes or more each night and to participate in the upcoming spirit days! We are currently enrolling new kindergartners! If you have a future Nashua Star at home who will turn five before August 1st, please call the office at 321-5160. Mark your calendars for Mach 29th from 6:00-7:30 pm! We will be having our annual Kindergarten Round-Up! Meet our Kindergarten team, some of our Encore Staff, tour the building, and take a bus ride around the neighborhood! It’s planning to be a boot scootin’ good time! · March 13 in the Library: 2018-19 Budget Meeting at 5 PM, PTA Meeting at 6 PM, Family Fun Night Game Maker Meeting at 7 PM - all are welcome to all three meetings! · PLEASE RSVP (on Facebook or to pta.nashua@gmail.com) if you are coming to the budget meeting at 5 PM on Mar 13. The budget meeting will include dinner for attendees - free pizza from Papa John's. Thank you to Papa John's for their support of Nashua this year! · Family Fun Night Game Makers needed! FFN is on May 4th - set up at 4:30 PM. Make a game for one of these classrooms for Family Fun Night. Sign up at bit.ly/NashuaClassVolunteers. More info about Family Fun Night at bit.ly/NashuaFFN. · Not sure about being a Game Maker? Need more info? Already signed up (THANK YOU! ), but have questions? Please come to our Game Maker Meeting on March 13th at 7 PM in the library (following the PTA meeting). We will have a door prize drawing for attendees! · If you have already signed up to be a Game Maker, and you know what your class' game will be, please send the name of your game to website.nashua@gmail.com. Also let us know if you will need a school table for your game. · Yearbook Photo Reps needed for these classrooms. Take pictures at class parties, field trips, etc. Sign up at bit.ly/NashuaClassVolunteers. · You don't have to be a yearbook rep to submit photos - if you take photos at any Nashua events, we'd love to have them! You can submit them online or use the yearbook app - see instructions at bit.ly/NashuaYearbook.